Southwest's iconic "Wanna Get Away" campaign had been off the air for ten years. These are two of the spots that help bring it back. A real Partner in Pethood doesn't just lend pet parents a hand, they give them something to actually cover their hands with when they need it most. 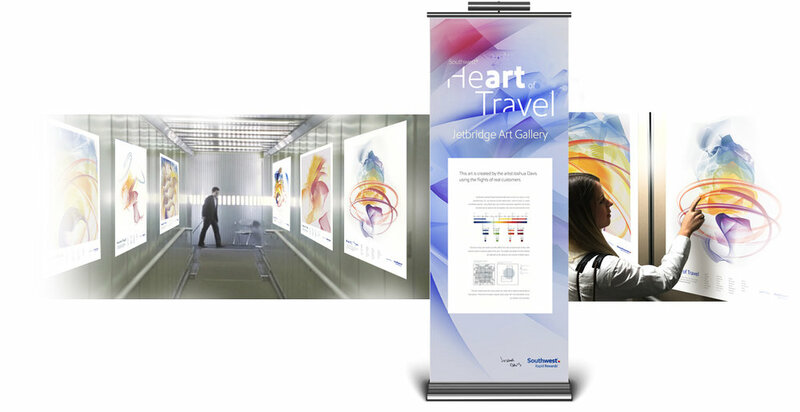 To say thank you to Southwest's most loyal customers we created an imersive experience that transformed their flight data into over one million personalized interactive works of art. And drink tickets, we got them drink tickets too. 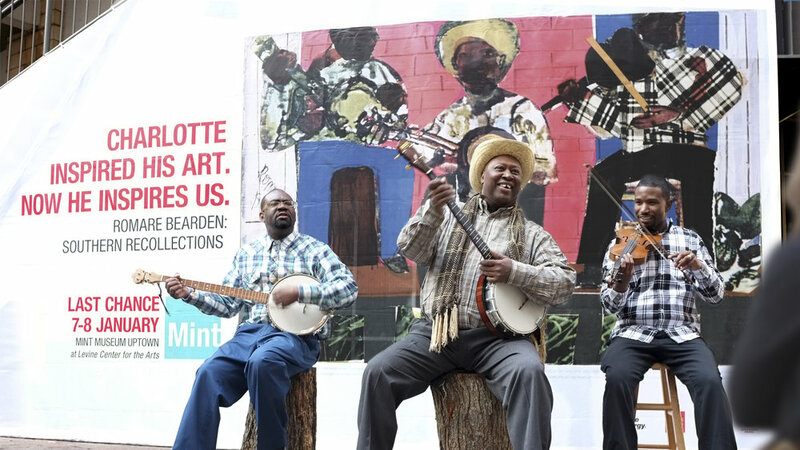 The city of Charlotte inspired artist Romare Bearden. So to build excitement for his exhibit at the Mint Museum we showed how his art inspired Charlotte. The D.I.Y. community has always been a big part of RadioShack. But the truth is your not just doing it yourself, your getting advice from all sorts of places. And alot of times the projects the community are undertaking are about making multiple different things work together. So we evolved D.I.Y. to D.I.T. and made "Do It Together” RadioShack’s rally cry. RadioShack and Vine a match made in heaven. With that said we created over 30 of these inspirational shorts. And to keep these feeling D.I.Y. (and within budget!) we created and shot these wondrous mashups all in-house. Here are a few examples. We created a high-end tanning bronzer with a simple concept - bringing color to your life. We executed it with a name that invoked a colorful life and drew illustrations that literally added color to black and white line drawings. When relaunching the "Wanna Get Away" campaign we wanted to go beyond broadcast... and international waters. So, we bought an island off the coast of Belize, and the only way you could stay there was to share your most embarrassing story using #WannaGetAway. We monitored social media to find the most embarrassed and whisked them away so they could wash away their shame in crystal blue waters. Chicken wings are the food of football. So why then would it comes to football viewing people were looking right passed one of the biggest chicken outfitters in the country. 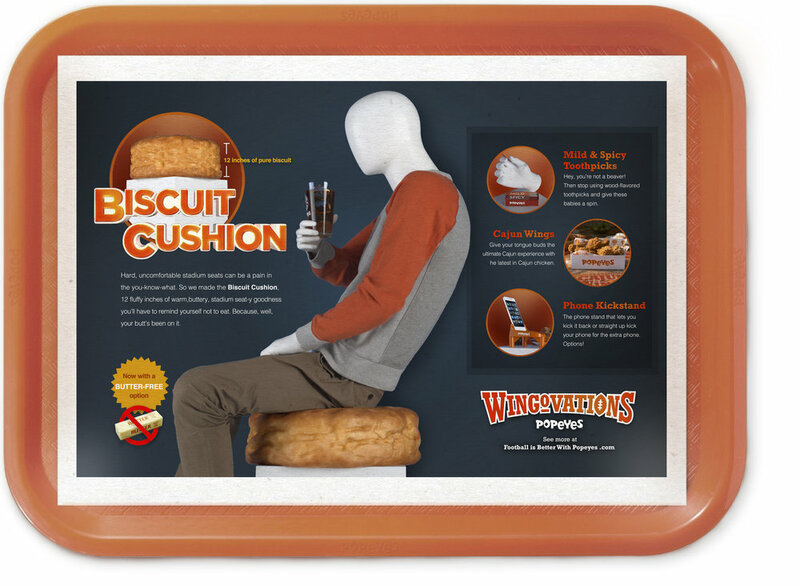 So instead of saying "look, we have chicken," we started with talking to the football-watching-wing-eating prospective customer and gave them exciting ways to enjoy Popeyes and football together.